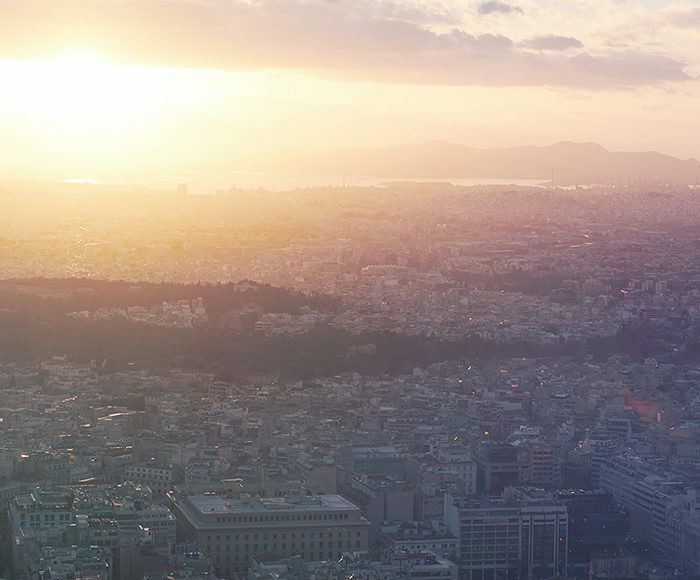 The Philadelphia skyline will soon have a brand-new jewel in its crown: Four Seasons Hotel Philadelphia at Comcast Center, set to open in spring 2019 atop the namesake 60-storey skyscraper. 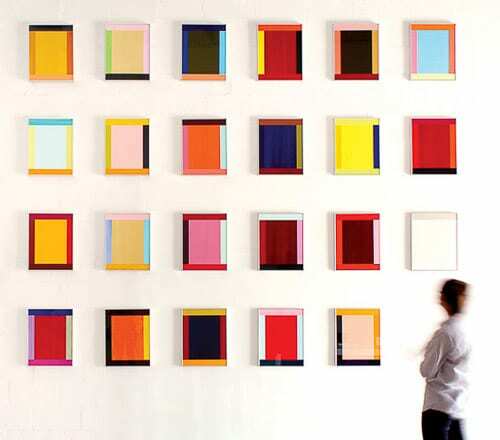 Among its myriad charms are restaurants by Michelin-starred chef Jean-Georges Vongerichten, a luxe 57th-floor spa and insider-led art tours of Philadelphia’s illustrious Barnes Foundation, replete with impressionist paintings (note the 181 Renoirs). 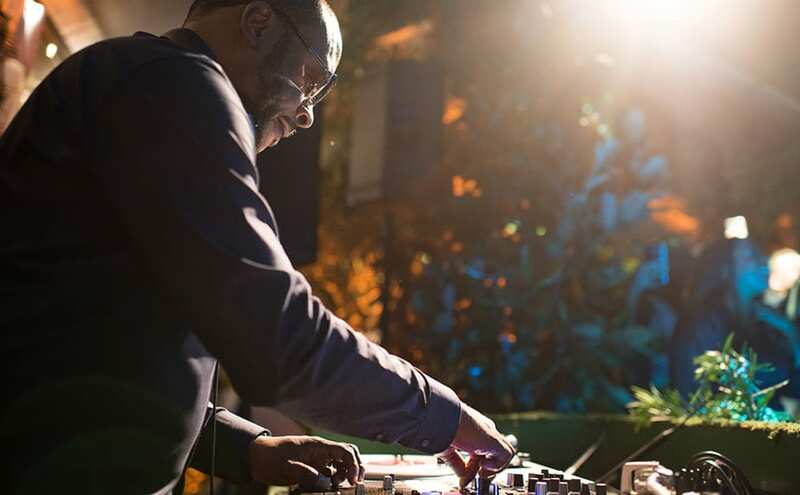 To toast the groundbreaking new icon in style, Four Seasons recently hosted one of its signature Pop Downs on the eighth-floor rooftop of Philadelphia’s BOK bar, where masters of craft from around the world showcased their talents to the music of DJ Jazzy Jeff. 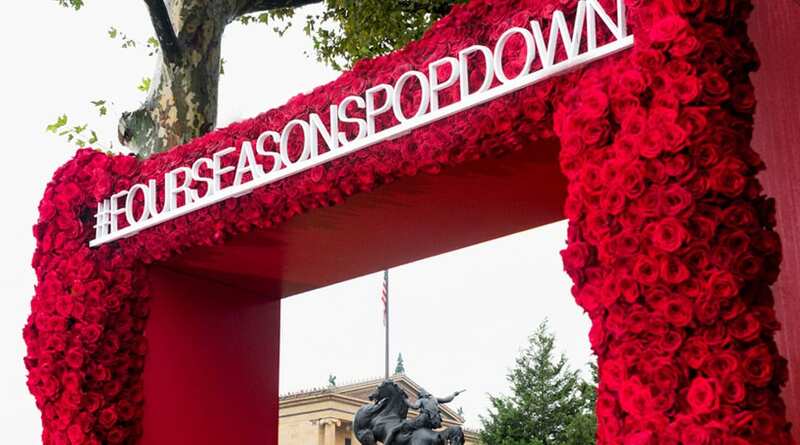 Read on for a behind-the-scenes playback of the exclusive celebration, in many ways a love letter to the city of Philadelphia. In the social media era, one thing is clear: It’s not a proper celebration unless it’s plenty photogenic. 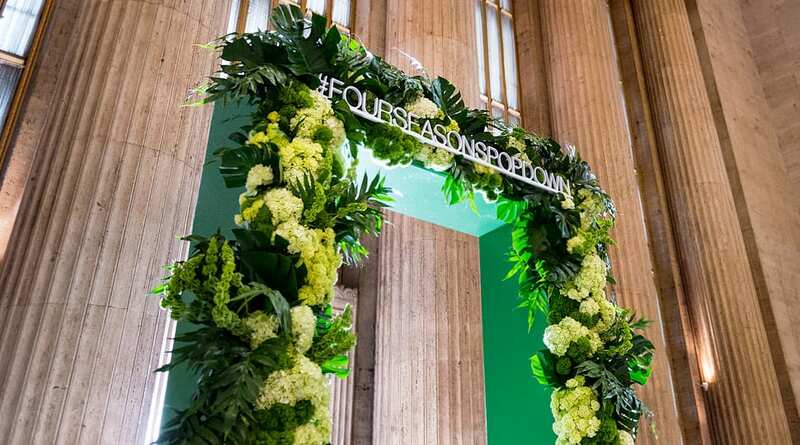 Four Seasons enlisted celeb-favourite florist Jeff Leatham – artistic director at Four Seasons Hotel George V, Paris and the highly anticipated Four Seasons Hotel Philadelphia at Comcast Center – to create four public art installations in the surrounding hipster enclave of Passyunk and elsewhere throughout the city. 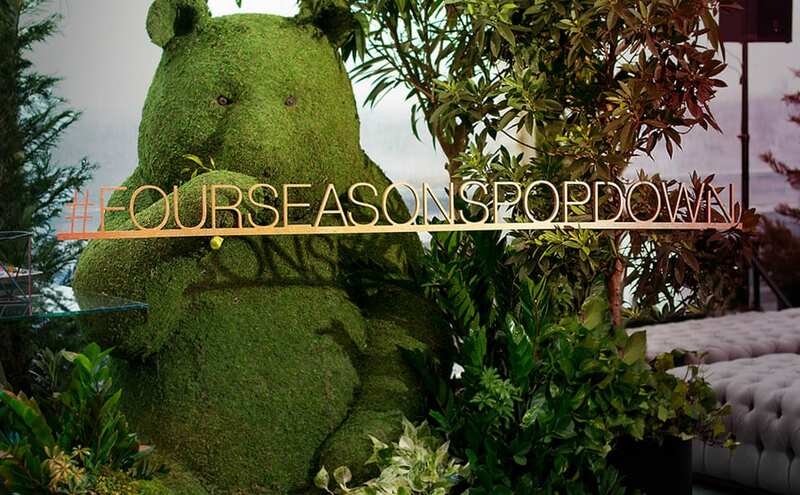 His fragrant archways drew stares and inspired quite a few selfies (tagged with #FourSeasonsPopDown, of course). 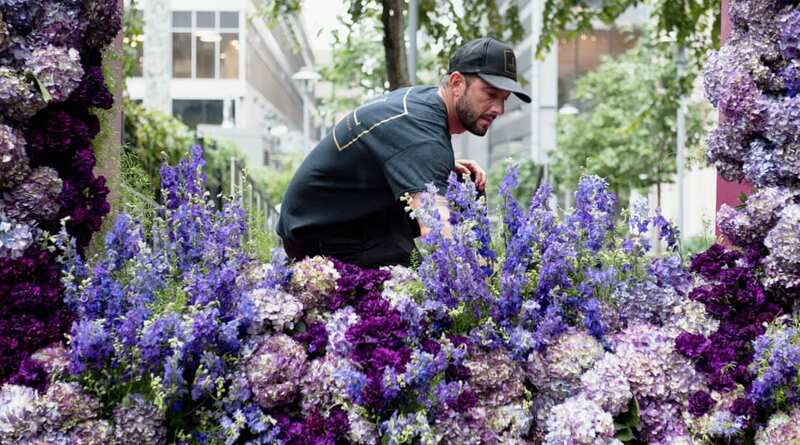 Each one was handmade and featured a distinct colour palette – fresh-cut purple hydrangea and carnations, or red roses, or even bursting sunflowers. After the event, staff deconstructed the archways and allowed passers-by to scoop up bouquets. 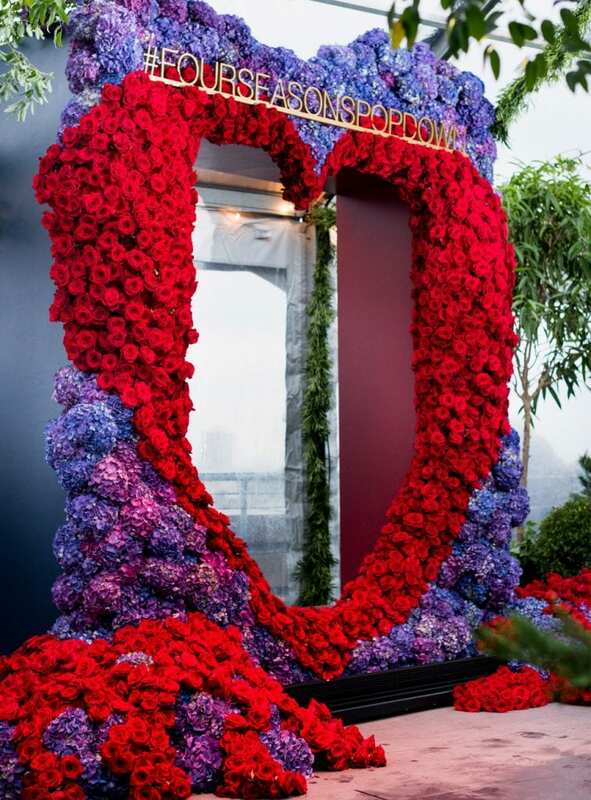 Celeb-favourite florist Jeff Leatham – artistic director at Four Seasons Hotel George V, Paris – created a number of elaborate floral archways for the event. 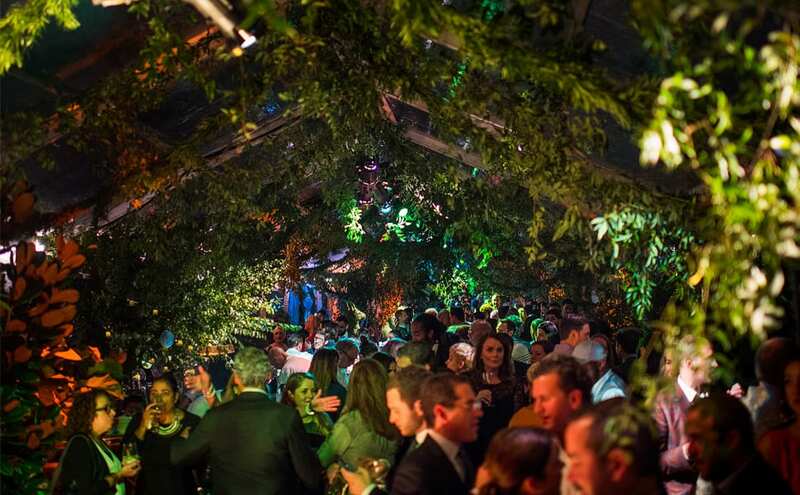 Leatham created a lush, enchanted feel inside the event – much like a surreal garden. Philadelphia’s own DJ Jazzy Jeff provided the musical stylings for the evening. 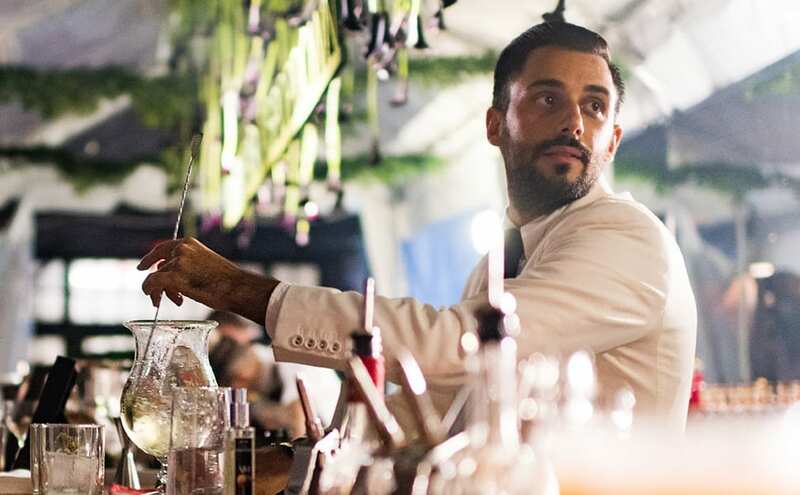 Valentino Longo, Head Bartender at Four Seasons Hotel at the Surf Club, served up the herbaceous “Adam” libation, made of gin, bitter Luxardo, white vermouth and bergamot liqueur. 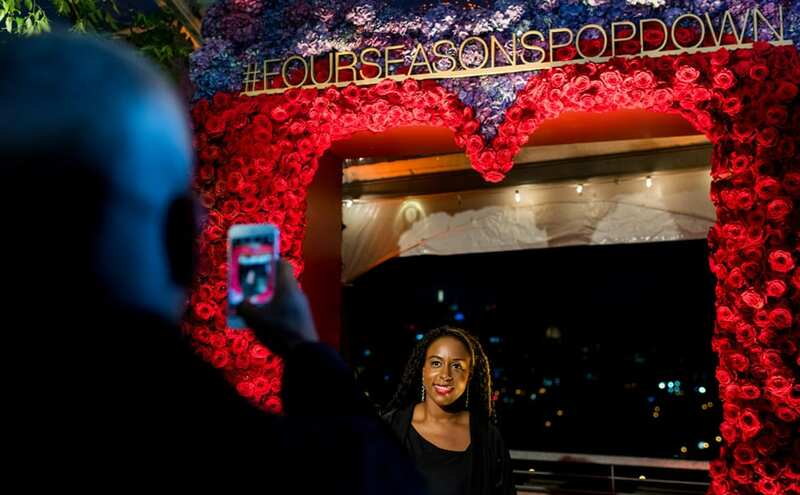 Guests mingled with Four Seasons masters of craft during this one-night-only event on the rooftop of BOK. 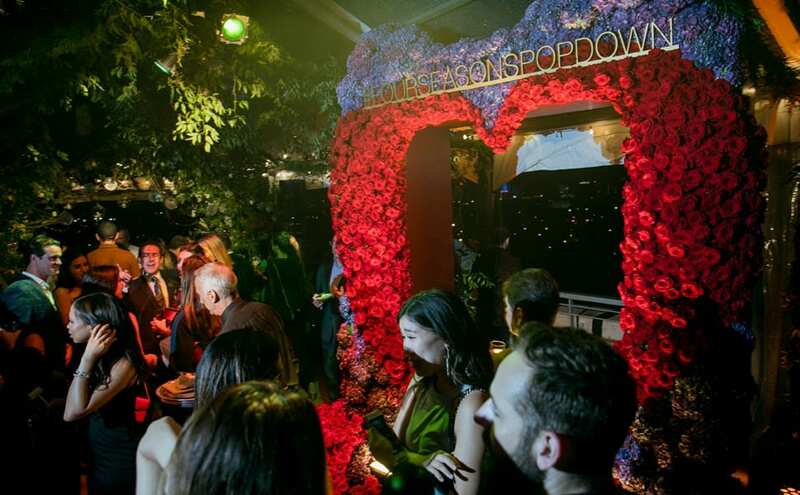 At every turn, guests found a photo-ready scene, from a giant panda sheathed in green moss to fragrant floral archways. 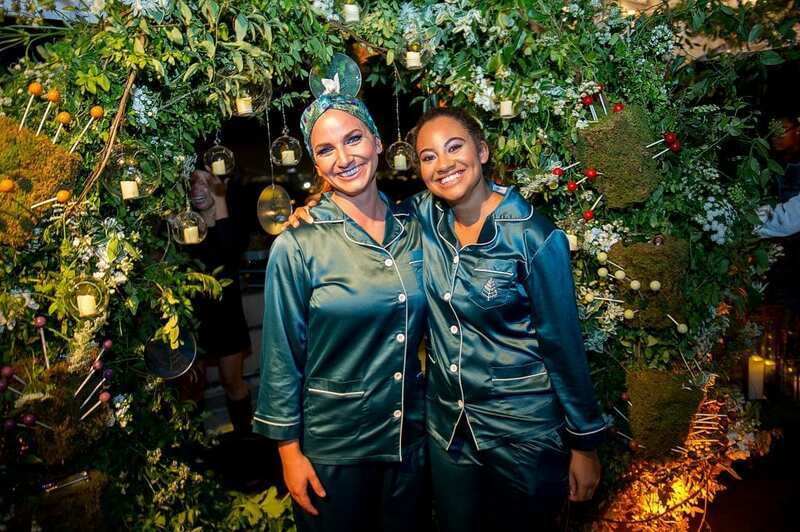 For the exclusive one-night-only event, held on the evening of September 25th, Leatham created a lush, enchanted feel throughout – much like a surreal garden. At every turn, guests found a photo-ready scene, from a giant panda sheathed in green moss to sumptuous tufted settees ideal for group portraits. 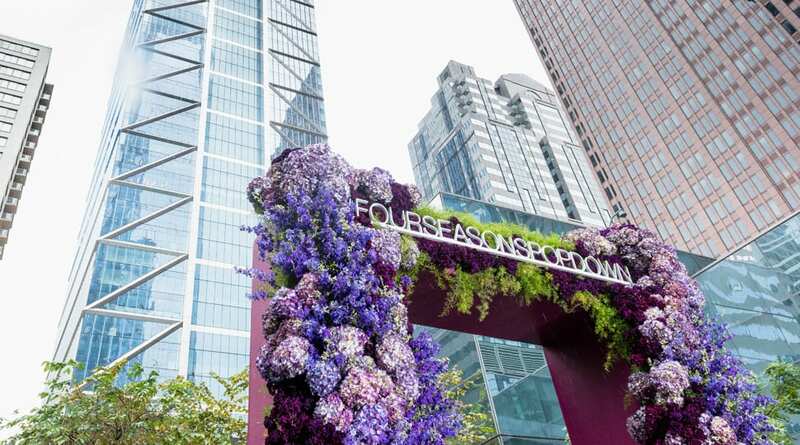 Four Seasons flew in chefs and mixologists from across its portfolio to do more than just plan a menu; they whipped up edible art for party revellers. 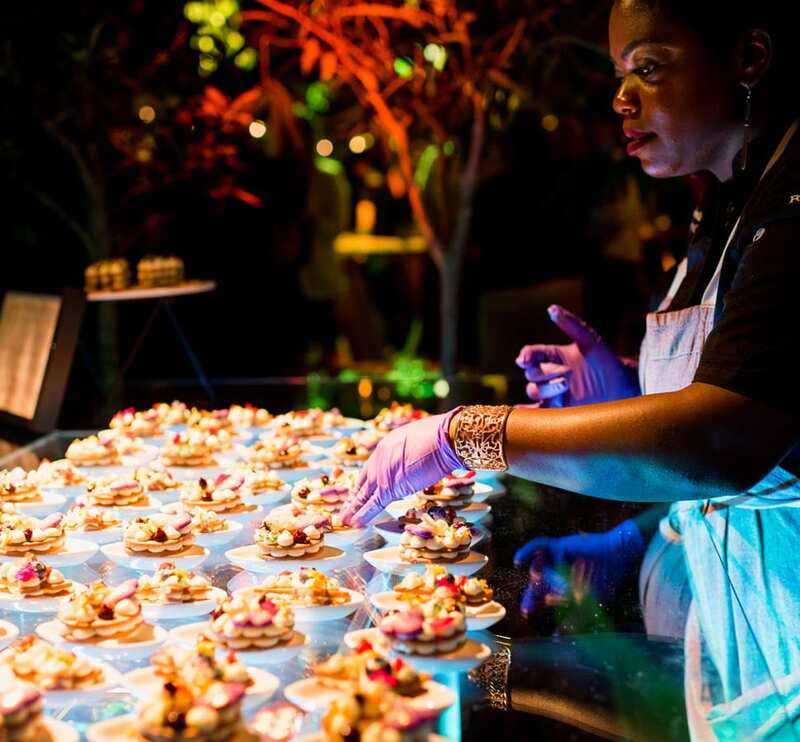 Many food stations were interactive: For example, Pastry Chef Chris Ford of the Beverly Wilshire, Beverly Hills, A Four Seasons Hotel, concocted the Heart Breaker dessert – a heart-shaped confection made of bittersweet chocolate, hibiscus jam, candied violet and vanilla ganache – that guests would wallop with a mallet to break. On the savoury side, one crowd-pleaser was Vongerichten’s toasted egg yolk with caviar. For one night only, masters of craft from around the world gathered to showcase their talents as a love letter to Philadelphia. Pastry Chef Lasheeda Perry of Four Seasons Hotel Atlanta doled out delicious confections all night. Head Bartender Sarah Rahl of Four Seasons Hotel Austin served “Punch Drunk Love,” an unexpected combination of barrel-aged rum, cognac, calvados and shrub. 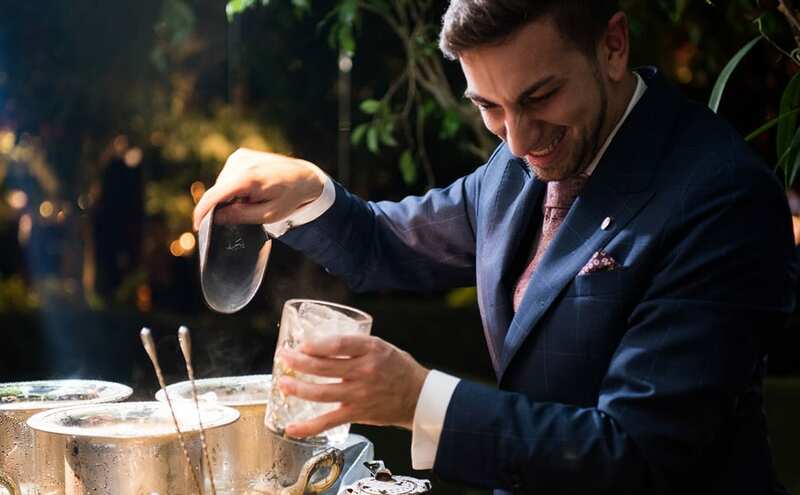 Mariano Ricciari, Lead Bartender at Four Seasons Hotel Dubai International Financial Centre, was one of the masters in attendance. 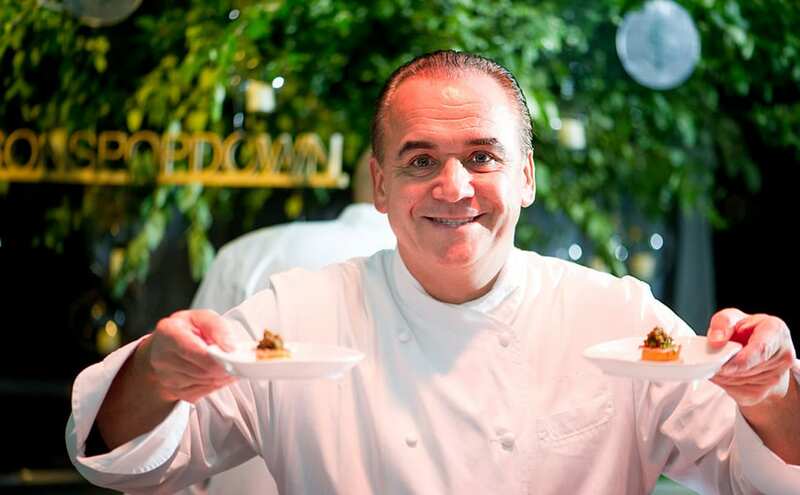 Jean-Georges Vongerichten’s toasted egg yolk with caviar was a true crowd-pleaser. 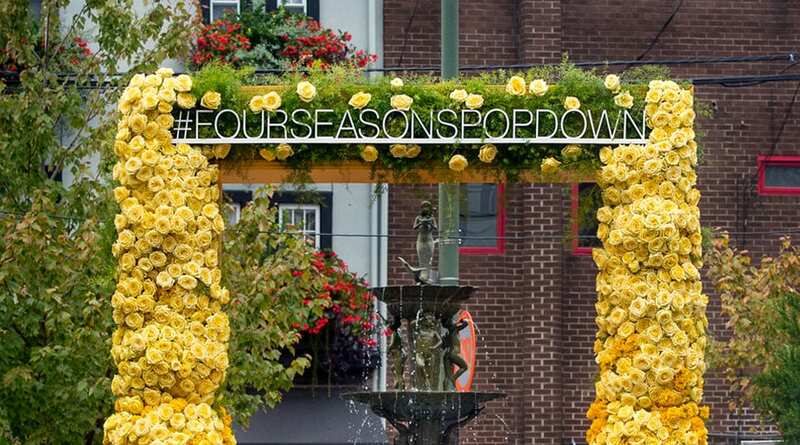 The Philadelphia event is the latest incarnation of the Four Seasons Pop Down, a global series of immersive experiences that brings Four Seasons to unexpected settings all over the world. Just as inventive as the food at Pop Down Philadelphia was the cocktail menu. 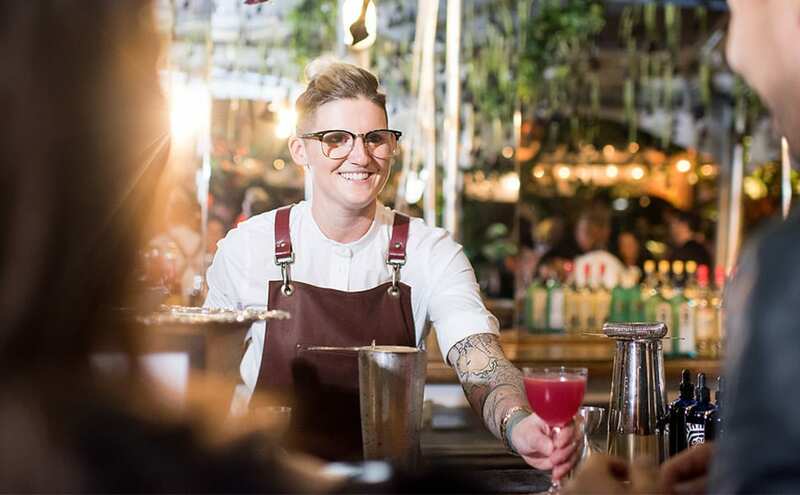 Head Bartender Sarah Rahl of Four Seasons Hotel Austin, a finalist in Cochon 555’s Punch Kings competition, served “Punch Drunk Love,” an unexpected combination of barrel-aged rum, cognac, calvados and shrub. 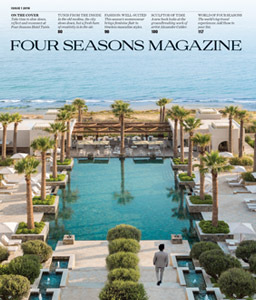 Valentino Longo, Head Bartender at Four Seasons Hotel at the Surf Club, shook up the herbaceous “Adam” libation, a nod to the Garden of Eden made of gin, bitter Luxardo, white vermouth and bergamot liqueur. Artisan-made concoctions with the new Four Seasons Hotel Philadelphia at Comcast Center lit up in the distance? We’ll drink to that. 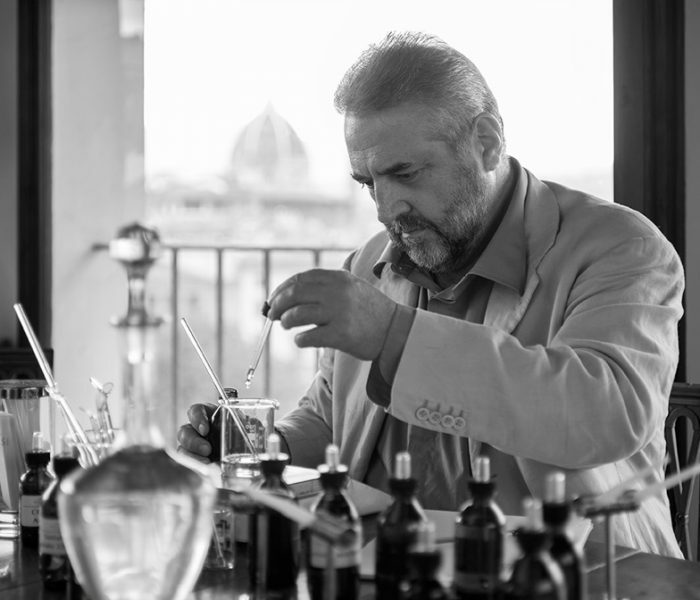 Master perfumer Lorenzo Villoresi reveals how he captures the fragrances that define Italy’s beloved region and transforms them into cherished memories for travellers.